A look at how to mute your mic and whether or not Fallout 76 has push-to-talk options on PC. One thing many players have been asking is how to mute your mic in Fallout 76. 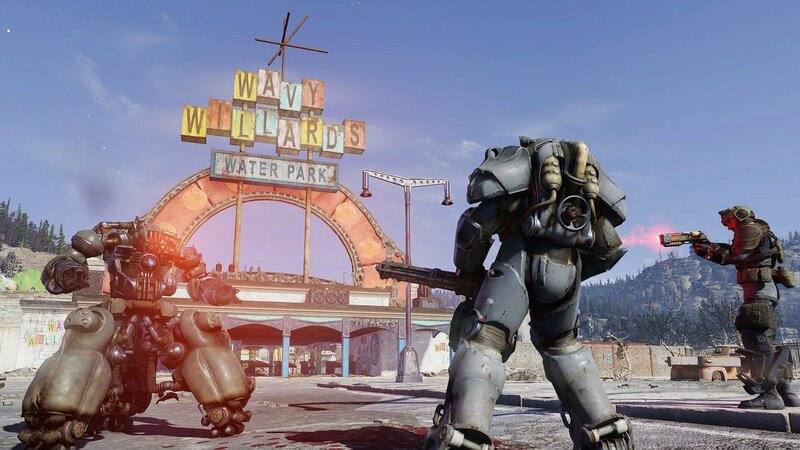 Other questions include whether or not Fallout 76 has a push-to-talk option on PC. When you first enter the game with a mic equipped to your computer, you’ll find that you’re openly broadcasting sound to all nearby players. To remedy this, you likely began searching through the game’s controls to see what the available mic options are, including how to mute and whether push-to-chat can be enabled. Sadly, the “mute mic” and “push-to-talk” options aren’t listed alongside controls like “M” to open Map and “G” to use Emotes. To help, we put together a quick guide on how to mute your mic in Fallout 76! Right now, Fallout 76 doesn't have a button to mute your mic or enable push-to-talk on PC. As of the time of this writing, Fallout 76 doesn’t appear to have a “mute mic” or “push-to-talk” option available in the keybindings for PC. If you have a mic equipped to your PC, it will automatically be enabled in Fallout 76. There are ways to disable and mute your mic, but they’re certainly not the same as pushing a mute or push-to-talk button. Bethesda will likely patch better mic and social features into the game (including push-to-talk options) at a later date. What’s more, Bethesda recently noted they have plans to remove and adjust the default voice feature. Until then, your best bet is to use a mic that can be muted on the device itself. For example, we use a Blue Yeti microphone which can be muted by tapping the small “Mute” button located above the Volume wheel. When we want to talk to someone, we tap the button again to unmute it. Note that you can hear the mics of nearby players if they’re on, and you don’t have to be too close in order to pick up on player mics. We were able to hear another player from halfway across Sutton in Fallout 76 as they chatted away with their friend. Keep this in mind, and be sure to mute your mic when you’re not using it in Fallout 76. If your mic doesn’t have a mute button on the device itself, there’s another way to mute your mic in Fallout 76. To mute your mic, use “M” to open your map, then use “C” to open your Social Menu. In the Social Menu, click on your username. Next, locate the “mute” option in the menu to mute your mic. To test to make sure your mic is actually muted, make noise around the mic. If your mic is muted, the yellow speaker symbol won’t appear over your character’s avatar. You can mute yourself by opening your Social Menu, clicking on your username, then selecting the "Mute" option in Fallout 76. If your mic is NOT muted, the speaker symbol will appear warning you that whatever noises you’re making can be heard by nearby players. Yes, even your mumbled cursing as you try to figure out the best way to mute your mic in Fallout 76. Were you able to mute your mic in Fallout 76? Are you angry the game lacks push-to-talk options in its current state? Let us know your thoughts down in the comments below! 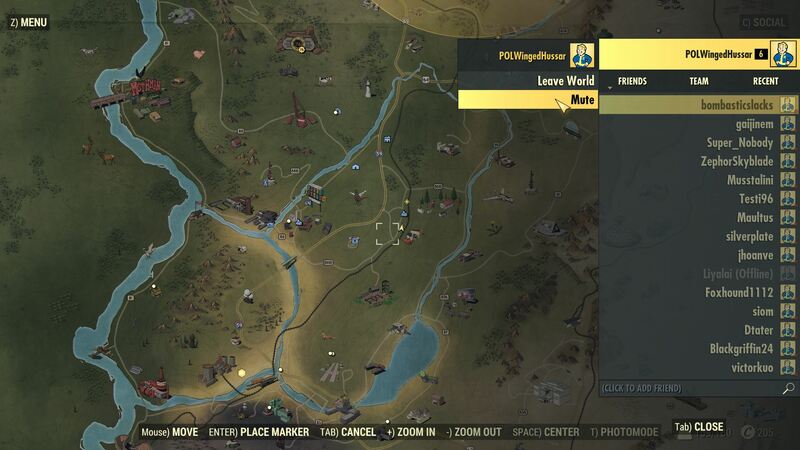 For more on Fallout 76, be sure to check out some of our previous guides including how to get your first suit of Power Armor in Fallout 76, how to trade with other players in Fallout 76, and how to Fast Travel in Fallout 76. By reading through this guide, you should now know how to mute your mic in Fallout 76 on PC.